@Albert, I'm interested to know: can you explain how your software can be used in force-controlled applications? Thanks! @Samuel_Bouchard, there are different ways to use RoboDK in force-controlled applications. 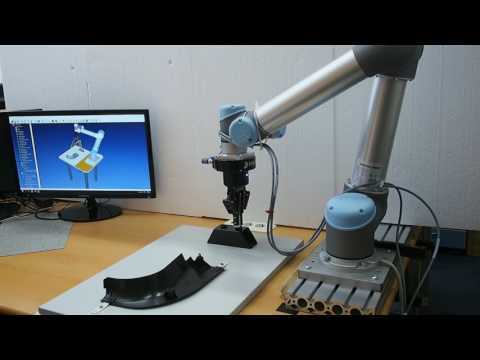 The robot path can be created, simulated and programmed using RoboDK's graphical user interface. The robot program is then generated using a post processor which takes into account the robot brand the force control hardware and the force control algorithms. This approach is brand-specific, which means that every robot must be programmed differently. Furthermore, the robot is the decision maker. Alternatively, you can use RoboDK's API to program the force control algorithms on a separate computer (we currently support Python, C# and Matlab). In this case, the PC becomes the master and the robot works as a client, executing the movements defined by the PC. Thanks for the input @Albert!